The American Association for the Advancement of Sciences recogonized Amit Sheth, executive director of Wright State’s Kno.e.sis, for his pioneering and enduring contributions on information integration, distributed workflow, and semantics and knowledge-based big data analytics. 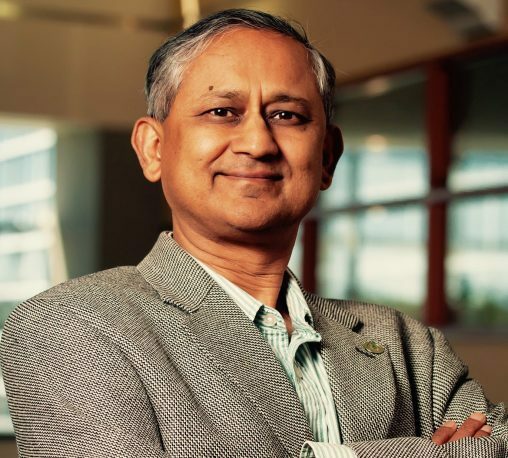 Wright State University professor Amit Sheth was elected a Fellow of the American Association for the Advancement of Sciences (AAAS). AAAS is the world’s largest general scientific society, with over 120,000 members. Election to AAAS is bestowed by the association’s members. Sheth will be honored, along with the other new fellows, at a ceremony at the next AAAS annual meeting in February 2019 in Washington, D.C.
Sheth was recognized for his pioneering and enduring contributions on information integration, distributed workflow, and semantics and knowledge-based big data analytics. He is the LexisNexis Ohio Eminent Scholar, a professor of computer science and engineering and the executive director of Wright State’s Kno.e.sis, the Ohio Center for Excellence in Knowledge-Enabled Computing. Sheth is a pioneer who recognized the strategic importance of database interoperability and developed the architectural principles of database federations. His groundbreaking work on federated databases in the late 1980s and early 1990s paved the way for modern approaches to information integration. Today, these seminal contributions are keys to the integration of data sources in enterprise and scientific applications, advances on the semantic web and big data. Sheth also contributed to distributed workflows for managing long-lived processes in business and web environments. His publications, applications and products from the companies he founded serve as blueprints for the architectural designs of successful industrial solutions. “Election as an AAAS Fellow is a rare distinction that has only been awarded to a handful of Wright State University faculty in the past. This honor highlights the cross-disciplinary impact and potential for enduring societal benefit that has resulted from Dr. Sheth’s work,” said Brian Rigling, interim dean of the College of Engineering and Computer Science. This is Sheth’s third election as a fellow of a major professional society. In 2006, he was elected a fellow of The Institute of Electrical and Electronics Engineers, and earlier this year, he was elected as a fellow of the Association for the Advancement of Artificial Intelligence (AAAI). “Given the importance of big data and AI, Dr. Sheth’s election as a Fellow of AAAI and now as a Fellow of AAAS is an outstanding honor for our university. It is a recognition of the world-class research and intellectual property generation by our faculty,” said Provost Susan Edwards. Sheth is an educator, researcher and entrepreneur who has been among the top 100 computer science and electronics researchers worldwide in recent years based on h-index. He has been a principal investigator of more than $27 million in competitive grants. At Wright State, his research grants have funded more than 300 semesters of graduate student assistantships and 22 of his 28 his advisees have completed their doctorates. A unique aspect of his research is significant multidisciplinary collaborations that address important real-world applications. Key areas where his innovations are applied include individual and public health, biomedicine, social good, finance, advertising and marketing and manufacturing. He has also received more than $6 million to support his technology commercialization and research and development efforts. This has resulted in the founding of Cognovi Labs, an artificial intelligence and predictive analytics company. Cognovi Labs is the third such company he has founded by licensing technology resulting from his university research with his students. Founded in 2007, Kno.e.sis’ 75 researchers include 15 faculty members from the College of Computer Science and Engineering, the College of Science and Mathematics and the Boonshoft School of Medicine. Sheth received his B.E. (Hons) from BITS-Pilani, India, in 1981 and his Ph.D. in computer and information science from The Ohio State University in 1985.